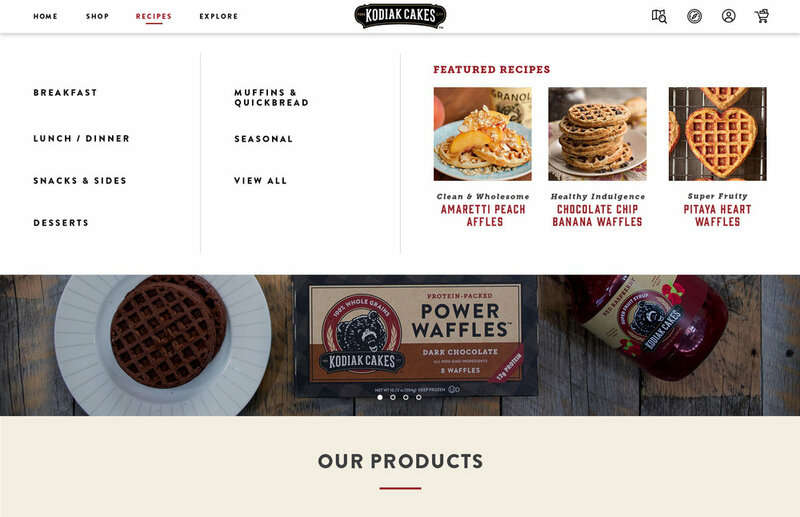 Kodiak Cakes is a Park City based breakfast company specializing in protein-packed morning fuel. As the lead designer on their website redesign, I was responsible for designing, collaborating and updating UX documentation, all the while, guiding their internal team through the process. With the help of a Creative Director and junior designer, we, collectively, overhauled their site. Their goal, bring all the rustic feels and cabin vibes of their original site into cahoots with a clean and modern aesthetic. Websites with full-width woodgrain background images is a little 90s for my personal taste but it was a necessary trade-off in order to continue the rustic traditions on which the company was founded.